Our tradition of excellence goes deep. There are many ways that Melgrati stands out from our competitors in the burgeoning Contemporary Interiors industry – our steadfast commitment to quality, our innovative reliance on both modern and traditional methods, and the incredible quality of our Italian-only materials and craftsmanship. But did you know that we’ve been providing deluxe Italian Contemporary Interiors for over one hundred years? 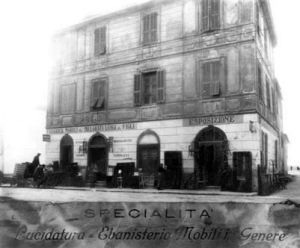 While we first entered the American market in 2010 – responding to the overwhelming demand for exceptional interior designs – our company was founded in Brianza, Italy in 1892, where it continues to operate to this day. Melgrati’s continued leadership in this industry is no small feat, testifying to the supreme quality of our work and service. Not only do offer premium Italian-made interiors, but do so with the utmost personalization and attentiveness. We will work with you to create interior spaces that best reflect your own personal vision. In fact, Melgrati can and will adopt any new designs and finishes – even if they’re not in our current production – so that we can accommodate your unique vision. As part of our commitment to quality, we partner only with the best contractors, interior designers, and architects in the industry, implementing innovative and state-of-the-art methods to offer versatile, cost-effective, and streamlined service. We even handle the customs and delivery portion of your project, keeping up to date on all relevant regulations in order to ensure a smooth and hassle-free process. This commitment to tradition has served us well for over a hundred years, and will continue to do so for as long as customers need quality interiors. From small spaces to large residences, we’re your partner. For more information, please visit our Contact Page or call 1-786- 219-7517.